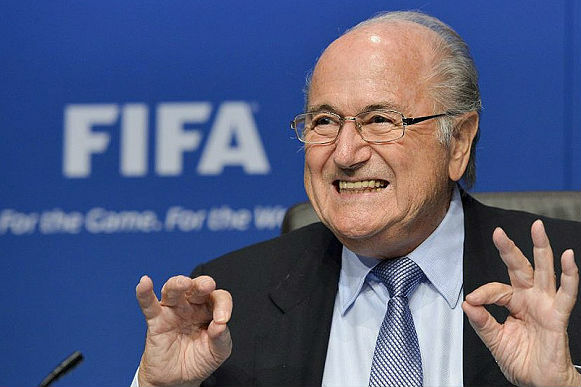 May 29, 2015 – Joseph “Sepp” Blatter, the Swiss administrator who has overseen almost two decades of corruption and scandal as president of the world football organization FIFA, won re-election for a fifth term on Friday, as the inexplicable human love of seeing grown men kick a ball for hours without scoring seemed like adequate justification for supporting the highly regarded despot and international criminal offender. Blatter, who has suggested that women's football players should wear shorter shorts for the sake of viewership, and who awarded the 2022 World Cup to Qatar, a nation renowned for its scorching heat and questionable human rights record, also presides over a multicultural band of indicted and soon-to-be indicted misfits, all for the sake of an organization which, again, centers around the beloved sport of kicking. “Sure, it's been said that FIFA constitutes, in itself, a morally bankrupt church built around the religion of sport, siphoning the democratic spirit out of nations beholden to its incomprehensible power,” said Spanish fan Cristina Rosales. “But what are we supposed to do, not obsess over football, the cultural phenomenon that gives us high-octane showdowns once every four years? You simply ask too much. Meanwhile, the ongoing corruption investigation by the United States, leading to the arrest of seven FIFA officials, has released a report suggesting that the organization is so corrupt, they should call it boxing.